A fan is an elegant “ready to wear” air conditioner. We have always a variety models available in many colours and materials. 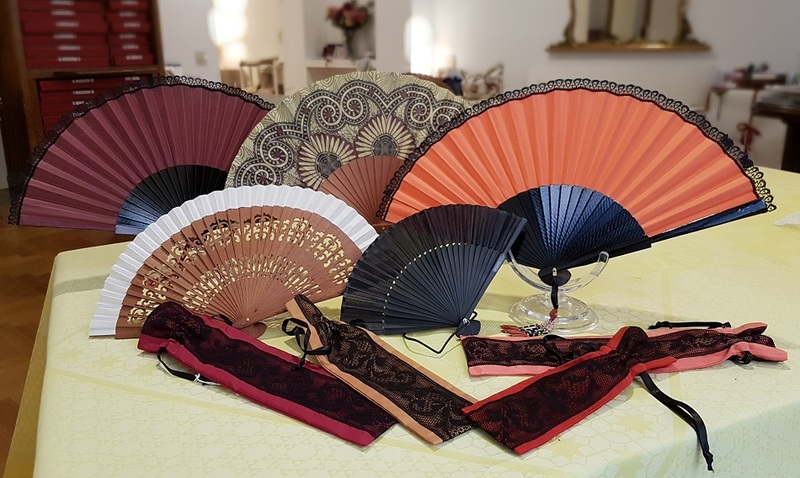 Our Fans in printed cotton fabric with fruit wood sticks; in cotton with exotic Sipo brisè monture; in cotton and black lace with lacquered wood sticks ; minifans on bamboo wood and muselin clothe. Tafettas and lace cases.